Given that code sharing is a big part of the GitHub mission, it should come at no surprise that the platform stores a lot of duplicated code: 70 per cent, a study has found. An international team of eight researchers didn't set out to measure GitHub duplication. Their original aim was to try and define the “granularity” of copying – that is, how much files changed between different clones – but along the way, they turned up a “staggering rate of file-level duplication” that made them change direction. Presented at this year's OOPSLA (part of the late-October Association of Computing Machinery) SPLASH conference in Vancouver, the University of California at Irvine-led research found that out of 428 million files on GitHub, only 85 million are unique. Before readers say “so what?”, the reason for this study was to improve other researchers' work. Anybody studying software using GitHub probably seeks random samples, and the authors of this study argued duplication needs to be taken into account. As open source watcher Adrian Colyer blogged, “simple random selection is likely to lead to samples including high duplication, which may bias the results of research”, so the paper's resulting public index of code duplication, which they've dubbed “DéjàVu”, helps “understand the similarity relations in samples of projects, or to curate sample to reduce duplicates”. For example, the study said, if a researcher is studying how many C and C++ programs use assertions, duplication clearly skews their output; similarly, a software quality study needs to take duplication into account. The researchers assessed code duplication using a variety of hash techniques. Identical code was easy, since they produced identical hashes, but it was also necessary to take into account software with small changes (spaces or tabs), or even larger changes. to capture clones with edits too large for the token hash. 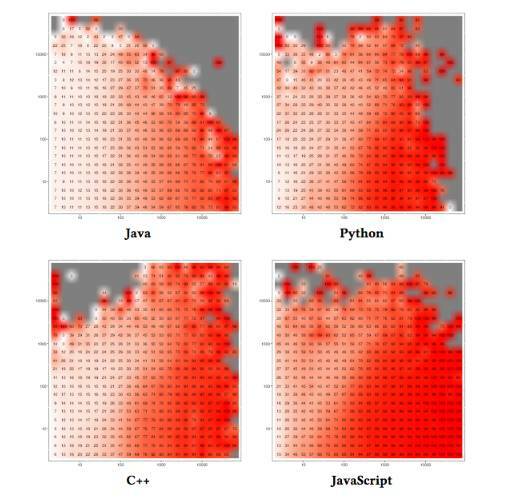 Java developers are the most individualistic of the four environments researched, “but even for Java, 40% of the files are duplicates”.